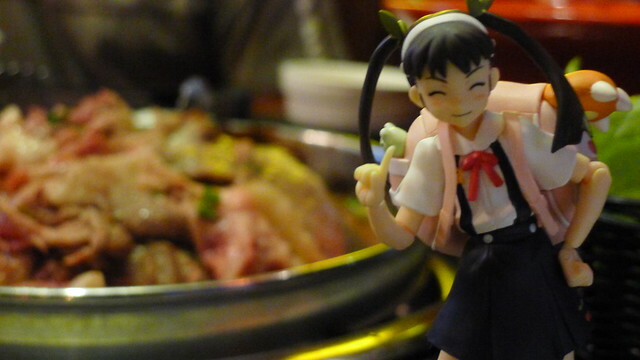 It's been a while since I posted some pictures of the good old figma + food variety. 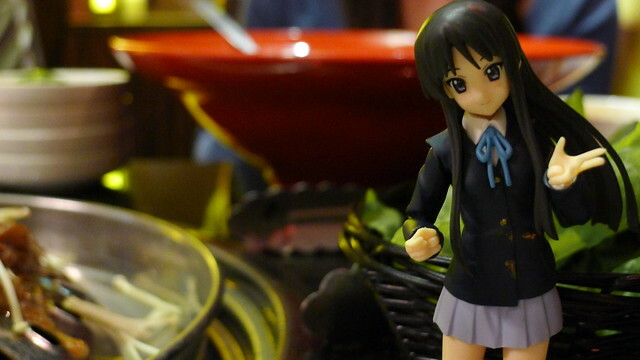 So as a continuation to a couple of previous posts this time I had Mio join me. 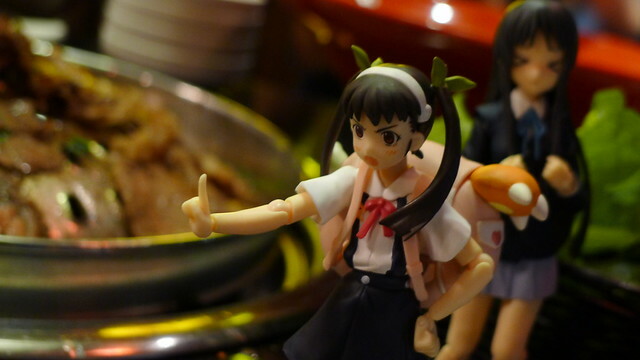 Mio wasn't by herself though, exilehero's Mayoi came along for the ride too. 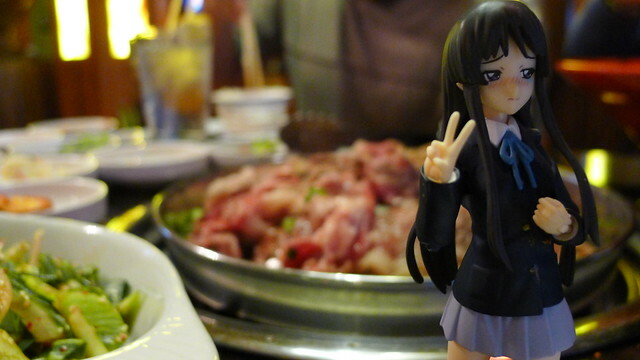 Shortly after coming back from Canada exilehero and me were invited by our friends to go to a newly opened Korean BBQ. After my hotpot experience during Canadian thank's giving I was craving a similar experience. 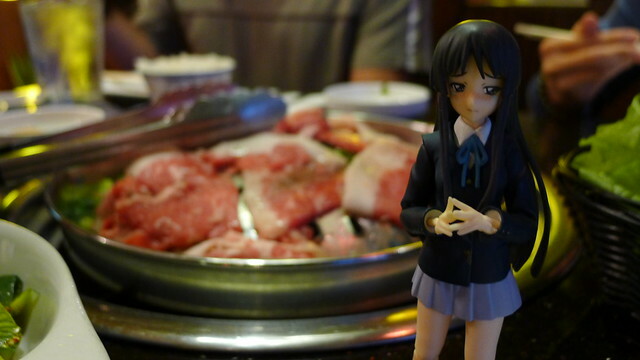 It was cool, pretty similar in the end, you only pay for the meat and all the side dishes you can eat are free. Delicious, I particularly liked the one that was seasoned with something or other. 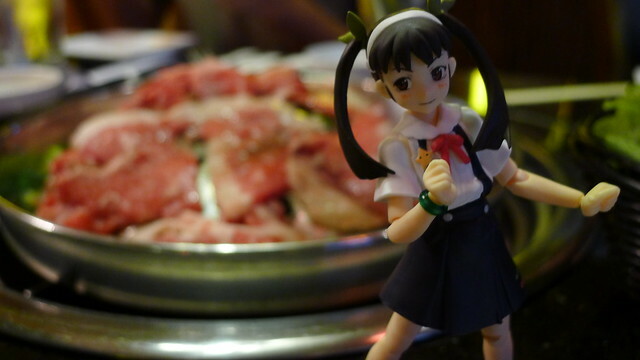 However, make sure it's cooked, in this particular restaurant our waitress took care of that for us. 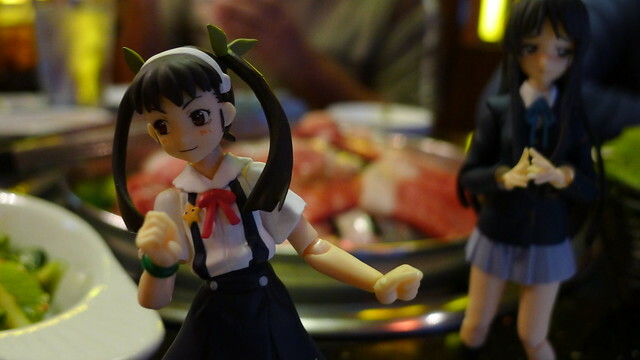 Speaking of the waitress, she asked me about my picture taking shenanigans, long time since anyone had done. Not terribly expensive either, even more so since it was four of us. I did end up craving more of it by the time we left though. It was a cool experience over all. Wouldn't mind going back.